Financial Services (FS) is one of the world’s most heavily regulated industries. A recent Boston Consulting Group study revealed that the number of global regulations international banks have to comply with, has more than tripled in the last four years. The situation is most likely only going to get more complex, with the UK set to complete its Brexit from the European Union (EU) by March 2019. This will potentially create even more regulatory hoops to jump through – how can beleaguered compliance teams manage compliance in a post-Brexit world? Before we look at compliance, it is important to consider the role of FS within the overall economy. The UK’s economy relies greatly on FS. UK Government data revealed that in 2016, financial and insurance services contributed £124.2 billion in gross value added (GVA) to the UK economy, 7.2% of the UK’s total GVA. So for the UK – and indeed most other countries – FS makes up a significant part of the overall economy. This makes it doubly important that trade should not be greatly impacted post-Brexit. But the EY’s financial services Brexit tracker recently revealed that 15% of FS firms surveyed are expecting to move staff from London, suggesting that some FS firms are already fearing the worst. Part of the reason behind plans to move staff from London surely lies in concerns about increased regulatory requirements. Currently, FS firms benefit from the EU passporting agreement, which allows any UK-based company to operate freely across Europe, an arrangement used by thousands of organisations. But it is likely that when the UK leaves the EU, UK FS firms will no longer be able to passport their services across the EU under the Single Market Directives as they do currently. Without this, a UK bank must have state-level authorisation to perform regulated activities in the EU. This is no small undertaking, particularly if multi-state authorisation is needed, and if it proves impossible then UK FS firms will need to look at Third Country Regime (TCR) access provisions. These offer certain rights of access for FS, such as conducting certain regulated activities, without further authorisation requirements from the EU. This could work well enough – although not all of the current passported activities are covered – but only if the EU counterparts are offered a reciprocal arrangement, which is a political decision yet to be made. In reality, no one really knows what will happen in FS post-Brexit. But what most commentators agree on, is the likelihood that compliance and regulatory demands will grow tougher. Banks must restructure so they can continue to serve EU customers without spending a fortune doing so – regulation will be arguably the key consideration. Additionally, there are already proposals within the Capital Requirements Directive 5 (CRD 5) that means non-EU Global Systemically Important Banks (G-SIBs) may be required to establish an EU Intermediate Parent Company (IPC), which could add a whole other level of compliance and regulation. Modern compliance is a never-ending process for FS firms. The regulatory requirements are evolving constantly, and any additional compliance that comes with Brexit can be addressed with the right tools. Many FS firms still rely on simple tools such as Excel to manage compliance needs – astonishing when you consider the implications that come with failing to meet regulations. But because regulatory compliance is an on-going activity, so must be the management of it. It requires the input of experts who can offer a business the correct information in a rapidly-changing environment. FS businesses must be ready for the threats, risks and surprises that may come their way, and to do so requires an automated approach, combined with the real-time insight provided by an industry expert that understands exactly what must be done. 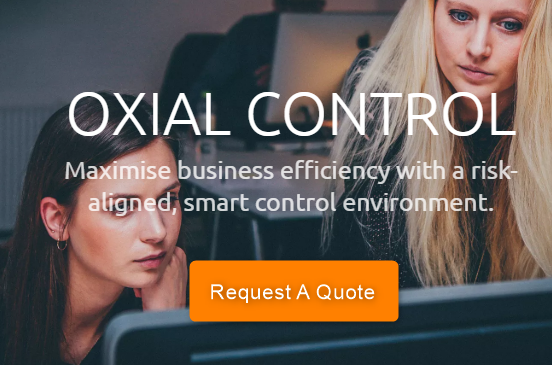 This is the OXIAL approach to compliance – continuous, evolving and always-on. No matter which scenario plays out post-Brexit, the FS sector is set for challenging times – that’s why continuous compliance is the only real solution to managing compliance in a post-Brexit FS world.